Most people only see entertainers from the perspective of their public persona, seldom realizing that they are actually just normal people (most of us anyway!) who have usually done other things, had other "careers" prior to being an entertainer, etc. I am proud of the fact that I am an 8-year U.S. Army, Persian Gulf-Era veteran. While I never saw any "action" in combat, I have many friends and family members who have, as well as a daughter who served 4 years honorably in the United States Marine Corps. Needless to say, we are a "pro-military" family. While I may not agree much with today's politics and the use of our military servicemen and women, I support our troops and veterans 110%. This is also why I am a proud volunteer and supporter of the veterans Charity known as the Kansas Honor Flight (https://kansashonorflight.org/). They honor Kansas veterans of World War II, Korea, and Vietnam by sending them on an all-expense-paid, three day trip to Washington D.C. to view their memorials. They are the #1 Honor Flight chapter in the United States, sending 11-12 flights of veterans each year on this trip; a trip that most all of the veterans call "The trip of a lifetime." This coming Saturday, February 9th at 6:00 p.m., I'm hosting a variety show and dinner to benefit the Kansas Honor Flight. 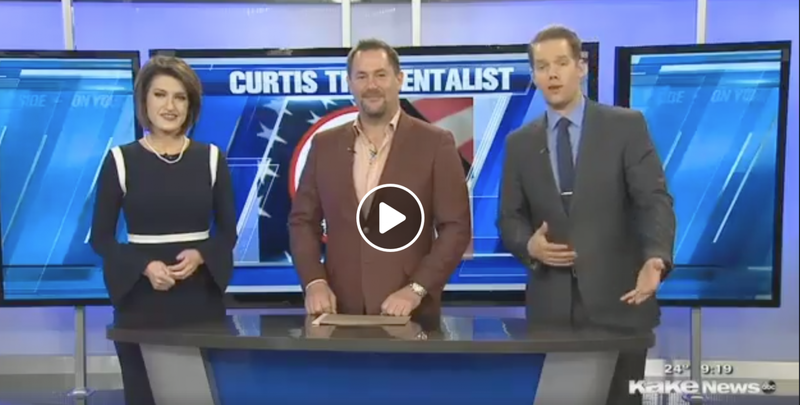 This video is of my interview on KAKE News with Alyson Acklin and Shane Ewing, who had me on to talk about this upcoming fundraising event. Click or Tap Here For Tickets and More Information About This Fun and Exciting Fundraising Show!Proceeds Go To Benefit Kansas Honor Flight! Want To Hire Curtis For Your Private or Corporate Event? Fill Out The Inquiry Form at the Bottom of the Page!